I've always been intrigued by NCAA Football recruiting and the NFL Draft. There are always so many interesting stories about where players come from, where they go to college, and where they end up. I began looking at the players who were selected in the 2015 NFL Draft, and I wondered how they were ranked coming out of high school. I began looking at the list of players drafted, and I started thinking about how to match them back to their Rivals 100 rankings. Since college football players have four years of eligibility, with some having 5 due to redshirting, I decided to go back and find the Rivals 100 classes of 2010 and 2011. 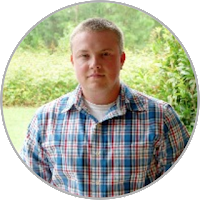 I used import.io to scrape the Rivals 100 data. Once I had that data set compiled, I needed to be able to match the players to their NFL Draft records. I scraped the NFL Draft results from 2010-2015 to make sure that all 200 players from the 2010 and 2011 Rivals 100 classes would be accounted for. 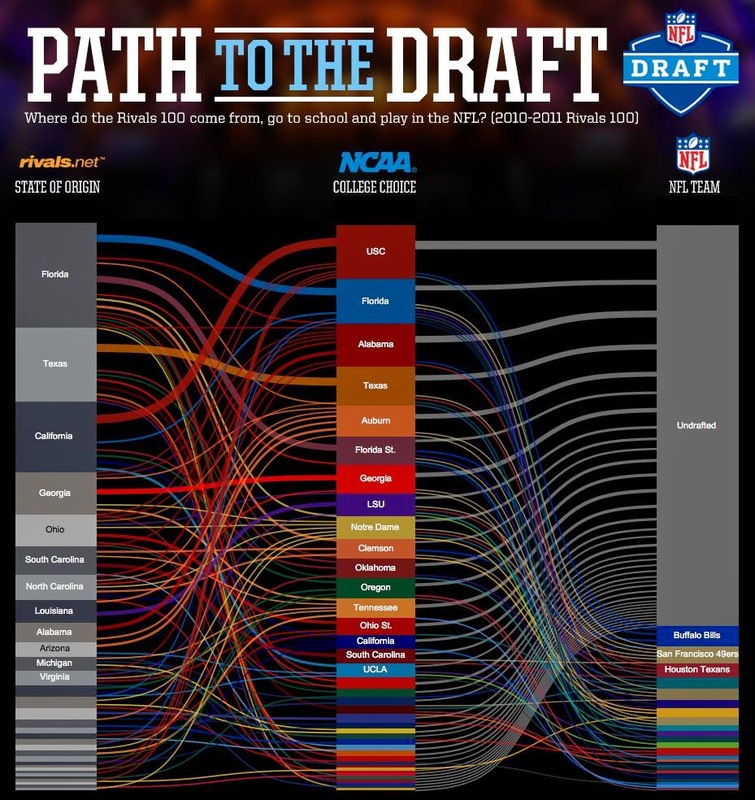 After I had gathered all of the data, I wanted to be able to visualize the flow of the players from their origin states to college to the NFL. I found an awesome tutorial on Sankey diagrams in Tableau, and I thought this would be a good application for visualizing that flow. Once I built the visualization, some interesting information begins to emerge. Florida, Texas, and California combined produced 44% of the Rivals 100 from 2010 and 2011. Alabama landed 15 of the recruits, but 13 of them were undrafted. Out of the 200 total recruits, 142 of them were undrafted as well. Even with these recruits being the best of the best from high school, only 29% of them made it to the NFL. Check out the visualization and see if you can find other insights.